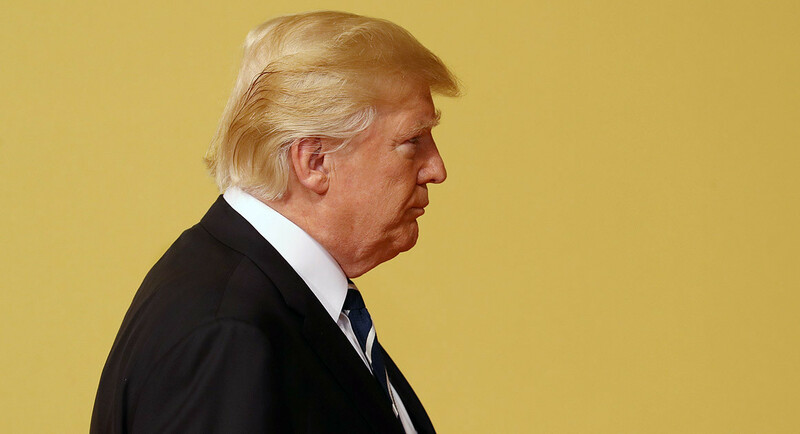 "He's always asking people, ‘Who do you think is going to run against me?’” said a Republican who heard President Donald Trump's assessment of the 2020 election. It wasn’t the lefty politics of the self-described socialist that Trump thought were a losing proposition. Instead, according to the person in the room, Trump was hung up on Sanders’ age, arguing that Sanders, now 76, wouldn’t have the energy to run another national campaign. Sanders wasn’t the only potential presidential candidate who Trump, 71, brushed off as a non-threat. Massachusetts Sen. Elizabeth Warren, the woman he has nicknamed “Pocahontas,” would be “easy to beat,” he said. New Jersey Sen. Cory Booker probably wouldn’t end up running, Trump mused. 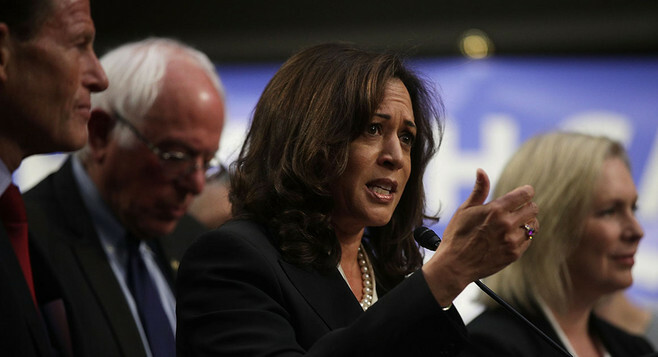 When someone in the room brought up California Sen. Kamala Harris, the president seemed not to have her on his radar yet. Handicapping potential 2020 challengers — however premature the exercise is — has become a favorite pastime for the competitive president, who still regularly rehashes his shock win in the 2016 race. “He’s always asking people, ‘Who do you think is going to run against me?’” said the Republican who heard the president’s assessment in December. But the people close to Trump are alert to potential challenges — though no consensus view seems to have emerged about who Trump needs to be most concerned about. More than half a dozen interviews with former White House officials, people affiliated with outside Trump-supporting groups and staffers at the Republican National Committee revealed divergent theories of who would pose the greatest challenge to Trump, and who is seen as a cakewalk candidate. New York Sen. Kirsten Gillibrand, who has feuded with Trump on Twitter after calling for his resignation because of sexual harassment and assault allegations, doesn’t make these people nervous. Former Vice President Joe Biden, however, is seen as someone who could cut into Trump's base. A competing worst-case scenario theory advanced by another top Republican strategist is that the strongest Trump opponent would be a "thoughtful, centrist minority" with grass-roots organizing skills, like Booker, whom Trump has dismissed. The public line from the White House is that the team is focused on creating a winning strategy for the midterm elections in 2018. White House press secretary Sarah Huckabee Sanders did not respond to multiple requests for comment about the 2020 presidential race. But the majority view out of Trumpworld is that the best-case scenario would be a progressive Democratic nominee like Sanders or Warren. Last week, the Republican National Committee blasted out a report about Sanders’ wife, Jane, titled “Jane in Jail?” highlighting news that a grand jury is hearing sworn testimony around allegations that she committed bank fraud while serving as president of the now-defunct Burlington College. “If the Democrats think a socialist or a liberal professor from Massachusetts are a path to victory, we’re happy to help them highlight that, because we don’t think that is in tune with the vast majority of Americans,” said an RNC spokeswoman. That means that Democrats aren't the only politicians making travel plans, fundraising moves and taking public stances based on 2020 — Republicans are positioning themselves for a potential primary of their own. Former Massachusetts Gov. Mitt Romney’s expected run for a Senate seat in Utah, for instance, is seen by people close to Trump as a way for the failed 2012 Republican presidential nominee to keep his own options open for 2020.